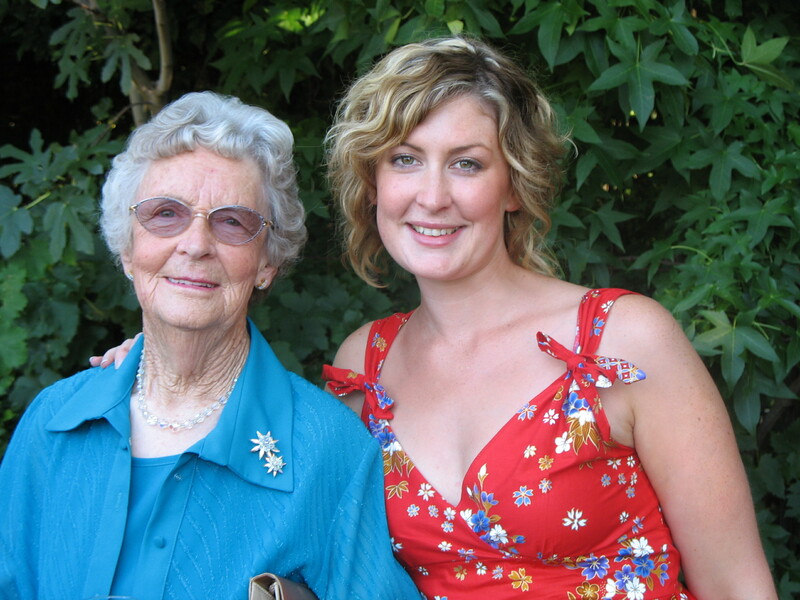 I just got off the phone to nan, and when she said, “Bye bye darling” it had the strangest effect. She’s said it a million, trillion times before, but today the full force of it hit me. I felt so hugely, ridiculously, unconditionally, absurdly loved. 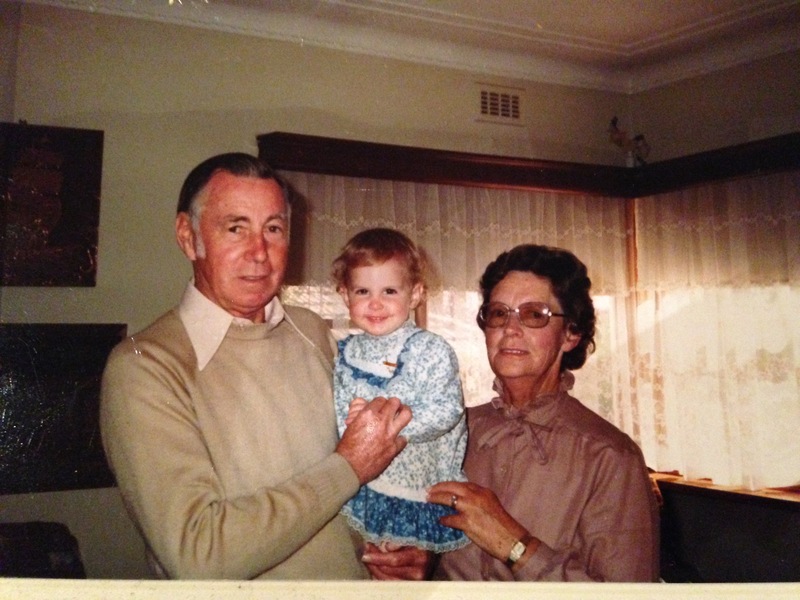 To be my nanna’s darling, her treasure, her sweetheart, her gorgeous girl, her beautiful kid…. it’s unlike any other love in my life. Nan and pa always seemed so elegant. Actually, that’s not true. They always seemed old. But looking back now, I see so much style and grace. It’s hard to describe the way I remember them, but I keep coming back to this sort of late 1970s BBC-style glamour. Yes Minister, The Good Life, To the Manor Born, Fawlty Towers. Framed wall hangings of slinky cats made out of velvet. Gold tassels and splashes of turquoise. Hats for him and gloves for her. Elaborate floral wallpaper. Puffs of talcum powder filling the air (and my nose) after a bath. Giant pink cans of Cedel hairspray. Big, heavy wardrobes that locked with tiny brass keys. Nothing was out of bounds. Nothing was too special or too “nice” to be touched. Hats and gloves and gowns and shoes were all used as dress-ups. Chocolates were devoured by the handful. Drawers were for rifling through. Carbon-copy ledgers were for scribbling on. Porcelain dolls were for taking off the shelf and playing with. Eeky, the big fat cat, was dragged from his hiding place for (unreciprocated) cuddles. Cracking walnuts with a hammer on the back step. Tying on an apron and baking, baking, baking. Learning the names of the birds who came to splash in the birdbath. We were indulged, encouraged, swooned over and adored. Sleepovers were thrilling, scary, Enid Blyton-esque adventures: Me in the big double bed in the back room, my brother and sister in single beds next door. Sheets tucked in so tight you could barely wiggle your toes. Heavy blankets with satin “cornies” for stroking. Giggling, playing, hiding, fighting, whispering and eventually falling asleep… sometimes all in the one bed. Torches for shining a path to the toilet: “Kellie Joy, is that you?” “Yes nan, just going to the toily”. “OK darling. Be careful”. God I hated that jumper. There must be so many versions of these memories floating among her grandkids. My special teacup might have been someone else’s special teacup. Perhaps the others preferred a different hat from the dress-ups box. Maybe someone actually liked those Lions Club mints in the dusty jar above the stove. But that’s the beauty of nannas. When you’re with them, nobody else exists. Their world is yours and yours alone. You have their full attention. Their sole focus. You’re their pride and joy. A delightful little thing to be paraded around the neighbourhood and showed off down at the bowls club. You are her sweetheart. Her treasure. Her gorgeous girl. Her sweetness. And always, always her darling. 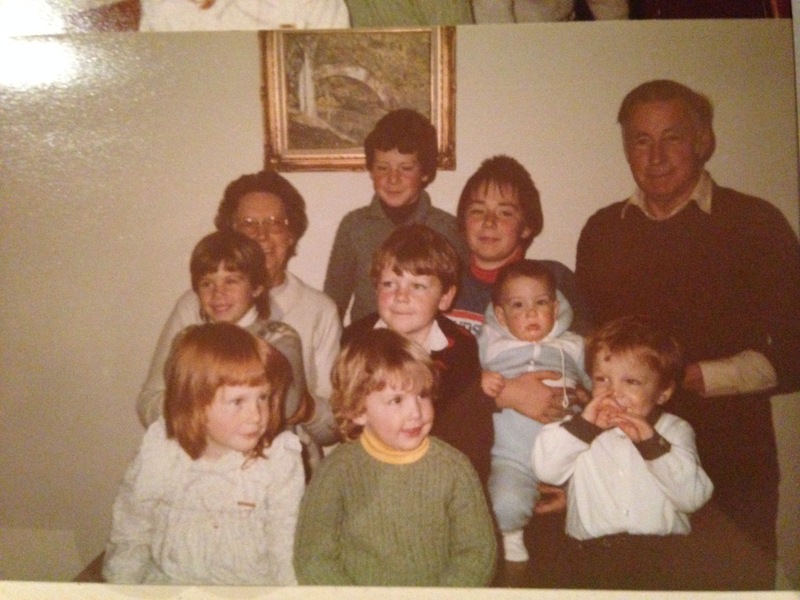 Tags: childhood, cousins, grandparents, memories, mother's day, nanna, nostalgia. Bookmark the permalink.